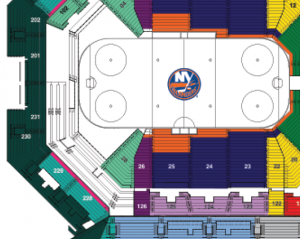 Days after Barclays Center CEO Brett Yormark suggested fans in obstructed views “Stream It Live!” from their seats, IslesBlog has learned Barclays Center is planning to raise the prices of obstructed view seats for some fans in Section 229. No, this is not satire. This is reality. Season ticket holders in Section 229, a section with limited views, have received phone calls in recent days from their Barclays Center Account Manager informing them of a 66% increase in their ticket price, from $15 to $25. I am one of those season ticket holders. Barclays Center is entitled to raise ticket prices. All fans, in all sports, have experienced price hikes (although usually of 3%-5% variety). However, it is communication sent out earlier this year by Barclays Center that is leaving fans dumbfounded and upset. 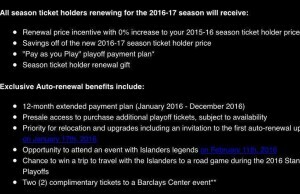 On January 6th, 2016, the Islanders sent out an e-mail entitled “Islanders Auto-Renew: The Best Way to Renew Your Season Tickets” to all season ticket holders. In the e-mail, it explicitly states that all season ticket holders renewing for the 2016-17 season will receive a renewal price incentive with 0% increase to your 2015-16 season ticket holder price. This e-mail communication seems to make the issue Brett Yormark’s favorite colors – black & white. Yet, Barclays Center thinks otherwise. Towards the end of last season, Barclays Center set prices for the Blue & Orange Army and Islanders season ticket holders associated with that group in Section 229 at $15 a game. Unlike other season ticket holders packages, there is no food option and fans in that section were told they were not permitted to resell their tickets on the secondary market. After originally being placed in the lower part of the section, the BOA was asked to move back because of their desire to stand and chant during the entire game. Those preferring to sit during games and remain in their original row were permitted to do so with their ticket price not being adjusted. In recent days Barclays Center Director of Ticket Sales, Emmanuel Jacobo and others started telling season ticket holders in Rows 2-9 verbally that their ticket was always $25 and that their 2015-16 price was a one time deal. 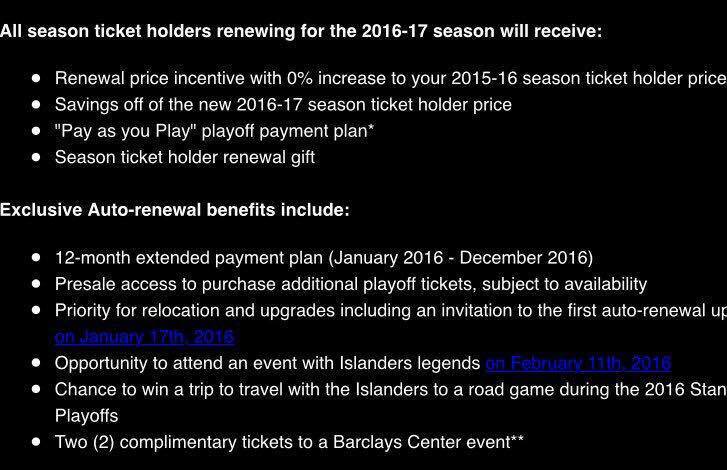 However, the Islanders season ticket pricing information doesn’t list any tickets at Barclays Center at $25 or $15 anywhere in the arena. 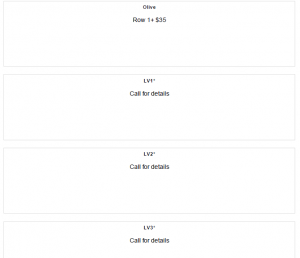 Instead, it says “call for details” for certain sections. At no point during the year were season ticket holders told that their price would be increased the following season and the 2015-16 Season Ticket License Agreement makes no reference to the price being originally $25. As for the rest of Section 229, row 1 pays a higher price and rows 10 and above where the BOA stands will remain at $15. Those in rows 2-9 are being told they can either renew at $25 a ticket, move beyond row 10 (there are 13 rows in the section) or decide to opt out of their season tickets by Mid-March. For next season, some fans may decide to renew at a higher price and others may leave and be replaced by new fans. 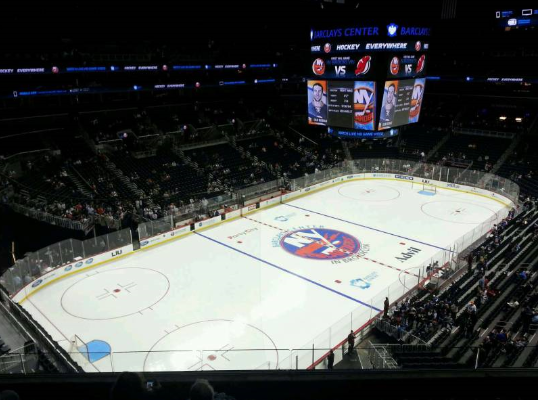 Brett Yormark talks about Barclays Center becoming a destination for Islanders fans. To do that, you need to build trust with the fan base and sometimes honoring your word is more important than the bottom line. As for this season ticket holder, if they raise my price 66% after sending an e-mail saying they wouldn’t, I won’t be watching games from my obstructed view seat, I won’t be watching games on my mobile device from my obstructed view seat, I’ll be watching games 4 subway stops away, at home. As Brooklyn’s own Spike Lee famously said, “do the right thing.” Sadly, they likely won’t. The Game Day Poster Shot Heard Around The World!